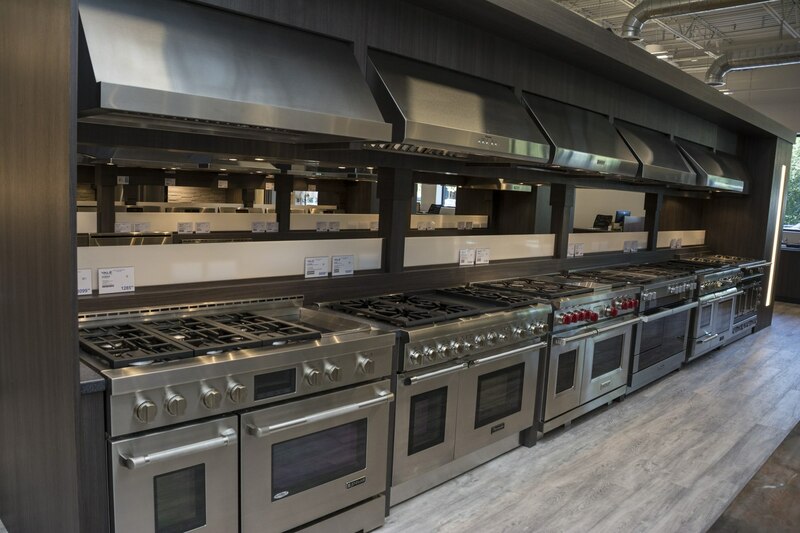 We rate dual fuel pro ranges and all gas professional ranges separately because the oven and overall specifications are so different from convection to bake and broil elements. Dual fuel pro ranges have a greater incidence of repair in the first year at 33.86% versus 27.49% for all gas pro ranges. Over 1,200 out of the 34,687 service calls logged by our service department were gas and dual fuel ranges or about 4 per day. So, we will look differences between dual fuel versus all gas ranges, the reliability methodology, and stats then we'll conclude this article with a better way for you to buy a pro range. Dual fuel (gas over electric, self-cleaning ovens) is typically more fully featured than an all gas range. The feature differences have become more pronounced over the last few years, especially in the controls. We cover the differences in other posts, but briefly gas is a moister heat. It's better for roasting whereas electric (dual fuel) is more precise and better for baking. Gas is better for broiling in all gas ranges than electric. However, all dual fuel ranges are self-cleaning. Thermador (Pro Harmony), Capital, BlueStar, and Wolf do not offer self-cleaning in an all gas unit. They also have better controls, options, and twin vs single convection fans. For our most reliable dual fuel professional ranges, we removed any brands that sold fewer than 5. High-end products have a higher percentage of minor service calls because after spending up to $15,000 for a product, you will call us with any questions (as you should). The single biggest issue in these ranges are ignitors. Over 60% of these calls are for ignitor replacements. It's an easy repair and usually, it's just one burner. It should not endanger your holiday dinner. Installation and minor calibration type calls are common. You should not be dissuaded to purchase any of the above brands. We now have 30 service technicians performing 8-10 service calls per day Monday through Friday with 110 service calls on Saturday. We simply calculate service percentages by service calls divided by sales for a static 12-month period. A service call is recorded for any reason major or minor. We do not count installation issues, damage or problems solved by phone. The total service calls logged for 2018 was 34,687. We only count the first year because we offer free warranty service for the first year. After that, it's harder to track. It's important to understand how you cook before you buy a pro range. Dual fuel is better to bake and has better controls. Still confused? Try this Pro Range configurator currently in beta. Add/subtract features to see what you might want to consider. You may want to consider induction for straight burners because its magnetic heat is faster to boil and simmer. Induction is available only in the 30 and 36-inch sizes. You will need 50 amps, unlike gas. 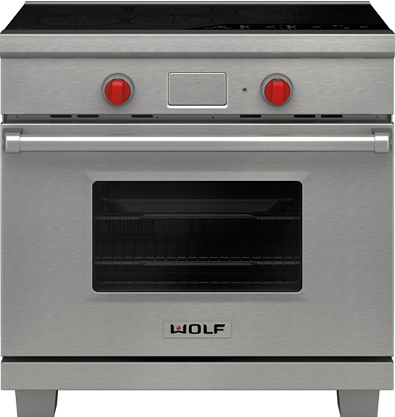 However, induction ranges do not offer built-in griddles or grills like gas. However, it is important to remember when buying a kitchen full of appliances especially in luxury and affordable luxury products, statistically, you will need service within the first year. The overarching theme in this industry has been the lack of service availability and scarcity of techs. You will read stories from very upset people about appliance service on just about every brand. After brands, features, and benefits, you must investigate the service component before you buy. Knowing reliable brands is a good first step, but you must know who will be repairing them after purchase. You do not want to find out when you need the actual repair. 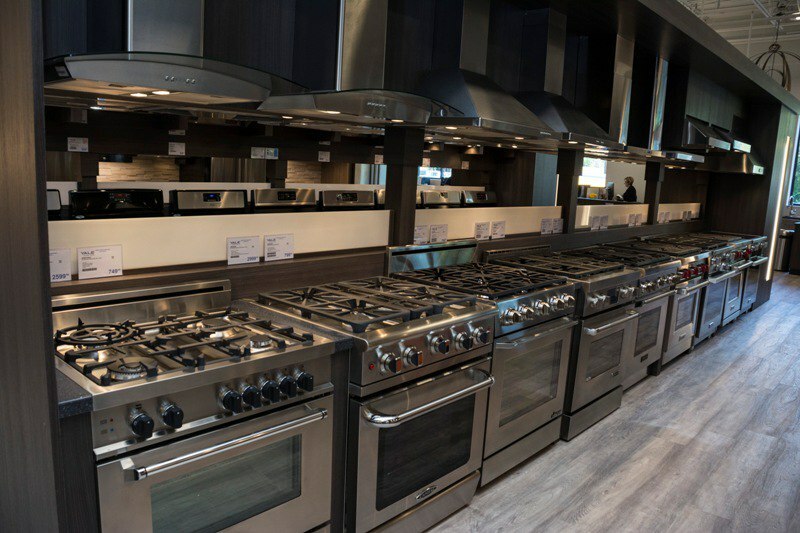 It is important to remember when buying a kitchen full of appliances, especially in luxury and affordable luxury products, you will most likely need service within the first year. Our best advice for you is to research service as part of your buying process. Dual fuel is defined as a gas top with an electric oven. What are the advantages of dual fuel ranges? Dual fuel ovens are a better baking oven. Electric is a drier and more precise heat than gas. Certain brands like Miele, Thermador, and Wolf will add better features to their dual fuel products like clocks, steam, and customizable programs. Which is better, a dual fuel range or gas range? Dual fuel (gas over electric, self-cleaning ovens) is typically more fully featured than all gas. The feature differences have become more pronounced over the last few years, especially in controls. Gas is better for broiling in all gas ranges than electric. The gas Ultra Ray broiler, in particular, delivers the best sear. Want to learn more about professional ranges? 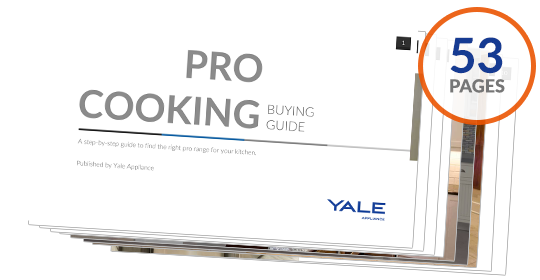 Download the Yale Professional Cooking Buying Guide with detailed profiles and BTU outputs of every major brand like Wolf, Thermador, Miele, Jenn-Air, and more. Over 410,000 people have read a Yale Guide.